Today marks the end of the first full calendar year of 853 being a reader-funded site. Site editor DARRYL CHAMBERLAIN explains how the year’s gone, and outlines some plans for 2019. It’s been an amazing year at 853 Mansions, and I thought I’d take the last day of the year to look back on 10 of the site’s top stories and look forward to the year ahead. 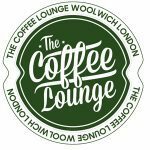 In particular, I’d like to say thank to The Coffee Lounge in Woolwich and Office Space In London, whose generous sponsorship of the site has been a huge, huge help. If you’d like to join them – from sponsoring 15 minutes of work each month to putting your firm’s name on the site, please visit patreon.com/853. You’ll get semi-regular updates like this one and the chance to share ideas and help out a little bit. It’s also been a year of collaboration – and not just with members and sponsors. Being part of the Independent Community News Network, which seeks to support operations like this, has been a massive help, and I’d like to thank Emma Meese and Matt Abbott at Cardiff University for the time and energy they’ve put into supporting 853 and a range of small news outlets around the UK. I also have ICNN to thank for suggesting 853 join the BBC’s Local Democracy Reporter Service – a door that seemed closed at the beginning of the year. Now the site can choose from a regular feed of original news stories from reporters paid by the BBC to cover Greenwich, Lewisham and Bexley councils as well as City Hall – taking some of the pressure off 853’s sole reporter/editor (that’s me, Darryl, hello 👋). It’s also been a pleasure to work alongside Tom Bull, who fulfils that role in Greenwich and Bexley. Bizarrely, this puts 853 in a better position than the Mercury and South London Press, which have elected not to join the scheme, an eccentric decision for papers which are clearly struggling. The two titles, are run by a leaflet distribution firm, have recently started asking readers for donations without any real clarity as to where the money is going. I grew up with the Mercury and did work experience at both there and the SLP as a teenager when they had big newsrooms in Deptford and Streatham – to see them laid this low is a tragedy that should have been avoided and I worry for their future. But it also reminds me why it’s important to have a crack at developing this site as much as I can. I’m also grateful for the contributions of Mercury Man, whose pieces remind us that south-east London is a community, not the bleak place you’ll see depicted in the asset-stripped legacy press, or the blank space developers or politicians mistake it for. What else is planned for 2019? Like everybody and everything else, the site will no doubt face a challenging year ahead thanks to us all being strapped into a terrible political rollercoaster. Surviving the year could be a triumph in itself. Keeping the site sustainable is key. Which is all the more pressing when the old models of funding local journalism – including relying solely on advertising – are completely bust, thanks, in part, to Facebook, which has become a real threat to us all. Your funding now provides money to pay for one reporter/editor (me again) to work about two days a week, and it remains vital for keeping the site going. (At the moment, I work elsewhere on a casual/freelance basis during the rest of the week, which I’m ridiculously lucky to have considering the state of the industry, and I have one 853 reader to thank for helping with that, saving the site too.) One thing a turbulent personal year has brought home is that it’s not healthy for the site to depend so much on one person. So, in 2019, I plan to spin 853 and its sister site, The Charlton Champion, off into a separate entity that can apply for grant funding. It is very difficult to get funding for journalism projects in the UK, but there are a few ways in. There are two other projects at the back of my head – both focused on Woolwich. More, hopefully, in the new year. The year’s biggest story by far, and an exclusive that came through asking the right people the right questions. Covered by ITV London, BBC London and ripped off by the Standard (which eventually coughed up for it); followed up by a host of local London papers (but only one nicked a photo to illustrate it – the News Shopper also, eventually, coughed up after being taken to the small claims court). And maybe my personal highlight of the year – hearing Heidi Alexander on the radio speculating over where the story was leaked from. Crossrail’s delay means TfL’s finances are looking bleak – expect more bus cuts to come in the New Year. Are they ships or boats? Whatever, the end of the 55-year-old ferries brought a surge of nostalgia. City Hall has since said it was Boris Johnson who shelved the scheme to improve the Woolwich Road roundabout. But, just like his predecessor with the Bow Flyover, it took two deaths on the A206 for Khan to actually address cycle safety on the main road through Greenwich. This was a follow-up to a From The Murky Depths story. Nobody else followed it up, everybody else was surprised when the new Thameslink services through Greenwich were a fiasco from day one. Weekday services have now been improved, weekend travellers will have to wait. You love the ferries, don’t you? Of course, the decision was then deferred. A new planning board threw out the scheme in December; developer Meyer’s next move will be one of the stories of next year. A taller tower in Lewisham got the go-ahead at the end of the year; 853 was the only media outlet to attend that planning meeting. Crossrail delays meant the cutting of the 180 between Lewisham and Charlton was deferred; but it’s hard to escape the feeling that this area’s needs aren’t being properly represented at City Hall. A story which touched a raw nerve at both town halls; little sums up Greenwich Council’s continuing weird tone-deafness and insularity better than the ongoing saga over Blackheath fireworks. A story that launched a thousand mole hunts. Seven months on, the atmosphere at the town hall is more volatile with more open dissent – with more of it being reported too – but that actually makes Greenwich a more normal council than it’s been for some time. Will this mean a move away from the clunking, out-of-touch, machine politics that has dominated the borough for nearly 20 years? The plan to demolish a whole chunk of Woolwich is a story that will run into 2019 and beyond, and one that will indicate whether Greenwich Council has learned to listen rather than lecture. This should be an opportunity to build bridges where past administrations would have burned them. Best of the rest: Greenwich Council hijacking Bakerloo line extension; the Bexley blogger on a harassment charge just for writing about a court case; New Capital Quay cladding; Blackheath Standard’s toilets; Lewisham Council meeting descends into chaos, Woolwich Common neglect, Thames pub. As for the new year, let’s get the opening of Greenwich’s Ikea out of the way and take it from there. There’ll also be the likely City Hall approval of controversial plans for the Charlton riverside. 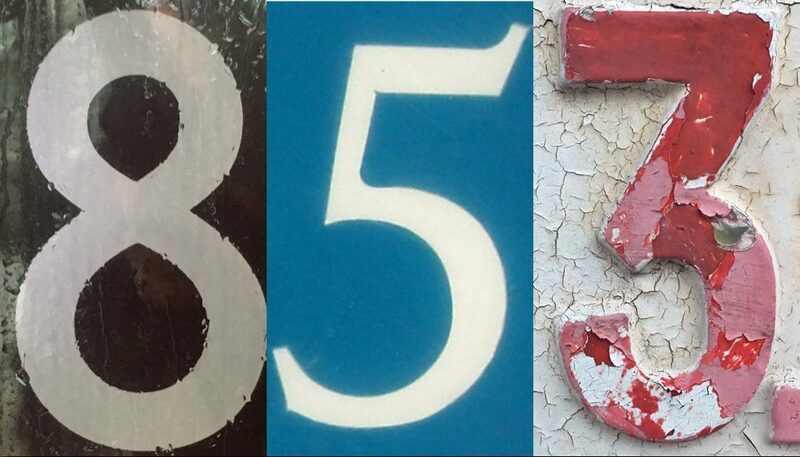 I hope that 853 can keep delivering stories you can’t read elsewhere, tell you things you don’t know and make you better informed about this amazing part of London. Thanks again for your support – here’s to 2019.